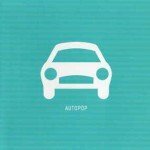 Genre/Influences: Electronic dark-wave, dark wave-pop. Background/Info: The last year released album “Grau Im Licht” was a (new) successful work for Diary Of Dreams. This album is a live double disc that has been recorded during the “Grau im Licht”-tour at live shows in Hamburg, Leipzig and Berlin. That was exactly one year ago now while the band is already on tour right now. 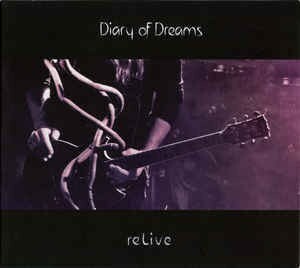 Content: Diary Of Dreams is a successful band and live formation and that’s what this album confirms. It’s not only because of their great live experience, but also because of the rather unique sound -which remains dark, melancholic and influenced by dark wave-pop influences and the charismatic vocals of their front man Adrian Hates. There’s only one Diary Of Dreams and there’s no single band that has ever reached their unique level, which made the band famous. ‘reLive” mainly features songs from the “Grau Im Licht”-album, but also tracks from the previous full length “Elegies In darkness”. This album starts with songs from these albums and is mainly characterized by ‘recent’ songs although you’ll find ‘older’ hits from the “Negredo”-period for example. The album features 22 songs and many great moments where you can feel the fusion between the audience and the band. This work is filled with dark reverie and moments of bombast, but still with refined piano arrangements and passionate vocals. The concert ends in a true apotheosis during “King Of Nowhere” and “Kindrom”. + + + : I’ve always associated live albums with the fans of a band and that’s not that different for “reLive”. This is an album for Diary Of Dreams lovers, but it also is a fully enjoyable work for other music lovers. This work gives you a perfect summarize of this band’s great talent and especially the impressive live performance. The sound is simply phenomenal and mainly characterized by the impressive vocals of Adrian Hates. I often get the impression of hearing him sing as if in a studio. – – – : A live album is perfect, but I would have preferred a DVD instead. It’s already 10 years ago now they released the DVD “Nine In Numbers”. Speaking for myself, I’m also missing a few ‘older’ hit songs. Conclusion: “reLive” is a very successful album, which will for sure please all the fans that have supported their heroes for more than 20 years now. Best songs: “Butterfly:Dance!”, “Kindrom”, “King Of Nowhere”, “Undividable”, “Malum”, “Sinferno”, “Soul Stripper”, “The Colors Of Grey”.